It is difficult to define Green building Architecture. Although we could define what the green approach could be like. It takes into consideration the impact of design of buildings on the environment. Constructing a building requires resources. For example, materials for construction, fuel, users engagement in design etc. All of these factors are considered in Green building architecture. They form the backbone of this type of approach. Designing green buildings has become a motto to many design companies and individual designers. It is important to pay attention to the conflicting issues that arise out of design. Every design decision needs to be thought with depth since it has environmental implications which could be harmful to us. One of the excellent examples of Green Architecture is “Aliens Space Station”. In many ways, there is a renaissance of design taking place quietly in many parts of the country, even while cut and paste architecture still prevails in the current building boom. 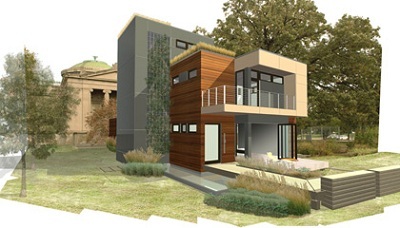 With technologies changing as rapidly as they are now, and with knowledge of global best practices being so easily accessible (thanks to the internet), concepts of green architecture are no longer only textbook knowledge — many architectural practices are sensitive to the growing need to adopt methods which are energy efficient. The priorities of green buildings are different from that of the regular RCC buildings. Their success is measured in terms of health of the people, environment and resource conservation. The success depends on these three factors. There have been a lot of discussions and debate over the economical aspect of green buildings and if they are durable and utilitarian? Protect and restore local air, water, soils, flora and fauna. The ultimate goal is to reduce the carbon footprint. Buildings are being designed with better insulation, water management, low electricity consumption etc. Also, the renewable energy is being harvested on site by making use of solar energy, wind power which in turn helps in reducing electricity costs. This entry was posted by Benzu JK on December 13, 2009, 3:23 am and is filed under Architecture, Sustainable Design. You can follow any responses to this entry through RSS 2.0. I’m no architect but I can imagine that building green architecture has more challenges and requires a lot more finesse. But it will be beneficiary in the long run. Cleaner environment. Less pollution and waste. We also need more people to support green living. Recycle, segregate trash, and reduce utility usage. All in all, though it is a challenge to design and build green buildings, it is very much worth it. Green buildings are definitely good. However, I would like to add that architects designing green buildings should also not forget that people would be using the building. My concern is for access to people with disabilities. I know that more and more building designs incorporate access for disable persons. But most “old” buildings do not. I hope that when its time to renovate, they add disability access and of course make “green” renovations. Green architecture can not only be used to reduce our footprint but also to rethink how we use land and space. Urbangreenhouseproject.org is an idea that is looking for a plan. If some student would like to produce some design plans from this website it would make a great project and make this vision one step closer to reality. What are your opinions on the use of bamboo in decor as well as flooring / cabinetry? Well, talking about bamboo reminds me of the concept of Sustainable Development. Bamboo can definitely be used for decoration purpose and cabinetry. Bamboo flooring is not generally preferred because it accounts for frequent cleaning and maintenance though it is a tough and sturdy material. Bamboo is more preferable for the framework of roofing and also as a reinforcing material in the residences. bamboo flooring engineered, and not have come a long way in the last couple of years. Looks like hardwood,,, just a thought. Which tools are responsible for shaping our cities?